Russia formally qualified for the 2018 World Cup last 16 after Uruguay’s win over Saudi Arabia mathematically confirmed it is impossible for Saudi Arabia or Egypt to catch either the tournament hosts or the South Americans. Uruguay booked their spot in the last 16 after Luis Suarez’s 23rd-minute goal in Rostov-on-Don gave his team six points from two Group A games – the same tally as Russia – and meant the pair have an unassailable gap over the Saudis and Egypt. 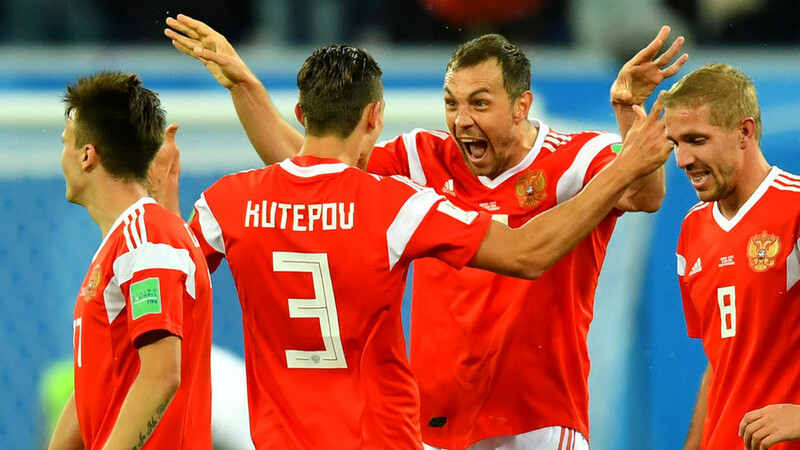 Russia had all but booked their spot in the last 16 for the first time ever when they beat Egypt 3-1 in St. Petersburg on Tuesday night, knowing that only an unlikely Saudi win over Uruguay would have kept the race alive going into the final round of games. However, despite the Saudis improving from their 5-0 rout against Russia on Thursday, they still went down to defeat thanks to Suarez’s 52nd goal for Uruguay in his 100th appearance for the two-time World Cup winners. The Saudis and Egypt now play a dead rubber in Volgograd on Monday, at the same time as Russia play Uruguay in Samara in a battle for top spot in Group A. The pair are likely to face Spain and Portugal from Group B in the last 16.